Looking for New Housing Developments across Greater Manchester? Seddon homes offer a choice of stylish new houses for sale across its new housing developments across Greater Manchester. Why buy a new build home in Greater Manchester? All our Manchester new housing developments are built to a high standard with style and comfort in mind. If you are looking for a new build house in Lancashire you will find the county offers everything, from superb shopping to great attractions. From a cultural perspective, there are numerous theatres and live music venues which offer some of the very best in comedy and musical talent. New homes in Greater Manchester enjoy the benefit of some fabulous museums and excellent entertainment and dining. Burnley, Bolton, Rochdale, Longsight, Salford and Wigan are also on the edges of some of the UK`s most stunning countryside. 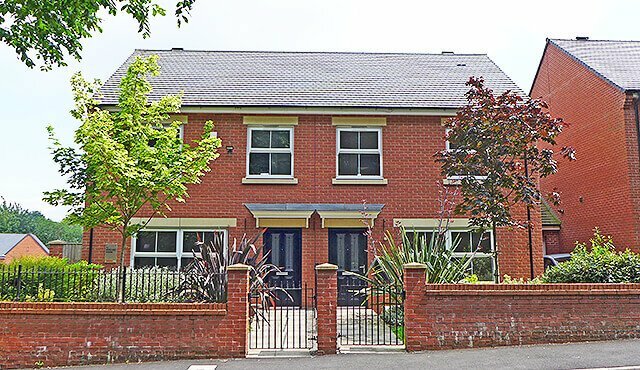 We have a number of new housing developments across Greater Manchester, offering ideal locations for your new home. Expect welcoming pedestrian streets, your favourite high street names, the rich diversity of ethnic clothing and food shops plus quirky craft and antique galleries. Fabulous concert arenas attract the World`s biggest acts and sports enthusiasts will be delighted by the vast range of facilities – both to participate or to watch some of the biggest names in the UK sporting fields. A new home in Greater Manchester means all these superb facilities are on your doorstep! New Seddon homes in Greater Manchester are well placed to benefit from the exceptional business and industry opportunities the region has to offer. Buying a new build home in Greater Manchester means a vast choice of employment opportunities. Manchester, Leeds and Liverpool are all easily commutable offering a range of employment opportunities across business, industry, retail and leisure sectors. New homes in Lancashire are well served by the local and national road networks with easy access to M6, M62, A6 and the M61. The rail network takes you quickly into Manchester offering a great base for commuting. Manchester, Liverpool and Leeds-Bradford Airports are also located nearby for national and international air travel. All in all, Greater Manchester offers new home buyers a wealth of opportunities… the perfect location for your next new build home. Contact us today for more information on these prestigious new homes for sale in Manchester.